Since you can never have too many free cards, Cardstore has another free card opportunity! 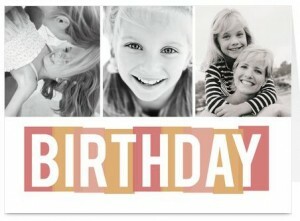 You can get a FREE greeting card with Free Shipping when you use the coupon code CCE2246. You’ll put this code in at the final section of check out. Also keep in mind that this for the first 25,000 people only so it may not be around for long! If you do miss the free card offer, you can still get FREE shipping, no coupon code needed.